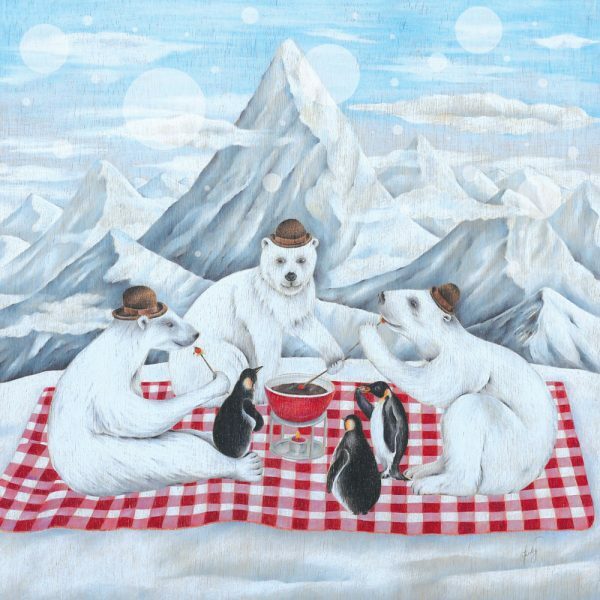 Three white snowy polar bears eating chocolate fondu in the snow with their penguin buddys… Original illustration drawn on wood to give this limited edition print a wonderful grainy textured effect. This limited edition print comes in 1 size: 30cm x 30cm. Each print is hand signed.. Flying Dreams Print Series: Now This, is Flying!